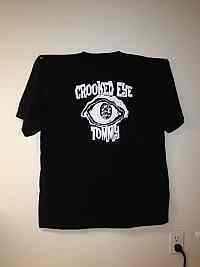 Crooked Eye Tommy is going to the International Blues Challenge in Memphis in January to represent the Santa Barbara Blues Society after winning The SBBS 2013 Battle of the Blues Bands. 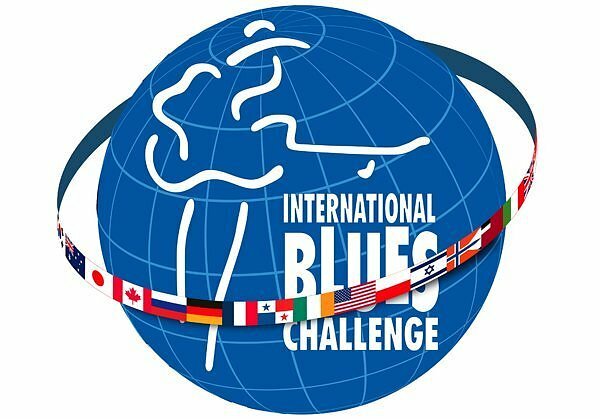 The 30th International Blues Challenge will begin Tuesday Night (Jan 21) with the FedEx International Showcase. Wednesday and Thursday night (January 22-23) quarter finals will be conducted. Youth Showcase and Semi Finals will be held Friday night (Jan 24). 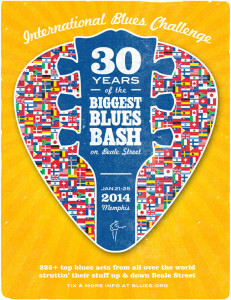 Saturday (Jan 25) IBC will conclude with Finals in the beautiful Orpheum Theater. The week of events will once again kick off Tuesday night with a Meet & Greet hosted by the Beale Street Merchants Association at the New Daisy Theater, followed by the FedEx International Showcase. In addition to the evening Blues competition, the days are filled with seminars and workshops and topped off in a moving Friday afternoon in which the Blues community will honor its own with the prestigious Keeping the Blues Alive (KBA) awards that honor the men and women, who have made significant contributions to the Blues music world, in 20 categories such as journalism, literature and photography and to the best clubs and festivals, as well as managers, promoters and producers.